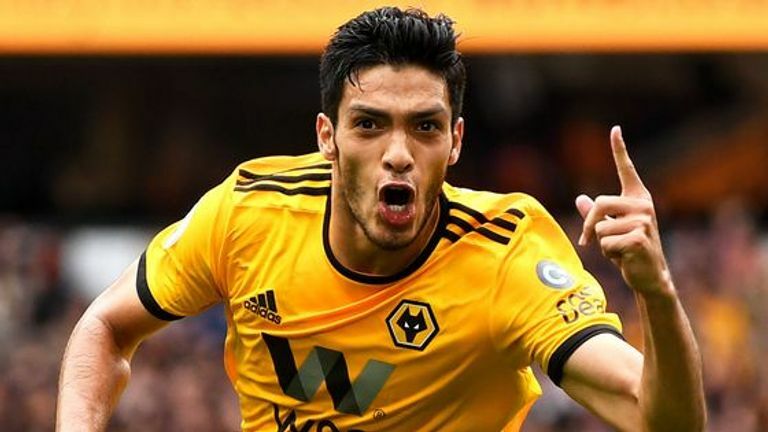 Burnley are still without a Premier League win this season after Raul Jimenez's second-half goal earned Wolves a 1-0 victory at Molineux on Super Sunday. The Mexico forward struck the winner in the 61st minute to seal a second straight top-flight victory and one that boss Nuno Espirito Santo will feel his side deserved after Burnley goalkeeper Joe Hart made a string of fine saves to keep his side in the game. The result sees the home side climb into the top half of the table on eight points, while Burnley have made their worst top-flight start in 90 years and remain in the relegation zone after picking up just one point from their opening five matches. Hart spoke before the match of his desire to force his way back into England contention and excelled throughout the first half, bravely beating Willy Boly to a Helder Costa cross in the 10th minute before making a pair of vital stops on the half-hour. An excellent reaction save kept out Jimenez's header with James Tarkowski heading the follow-up effort off the line and Hart then beat Matt Doherty to the ball moments later after his central defender had made another goal-line clearance. 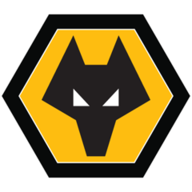 Wolves: Patricio (6), Bennett (6), Coady (6), Boly (7), Doherty (9), Moutinho (6), Neves (7), Jonny (7), Costa (7), Jota (7), Jimenez (7). 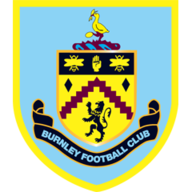 Burnley: Hart (8), Bardsley (7), Tarkowski (8), Mee (6), Taylor (6), Lennon (5), Cork (5), Gudmundsson (6), Hendrick (6), Barnes (5), Vokes (5). Boly volleyed over the bar as Wolves failed to find the breakthrough their first-half dominance merited and they spurned a glorious chance within a minute of the restart when Jota pounced on Phil Bardsley's error, drew Hart and laid the ball to Jimenez, who blasted past two recovering defenders and over the bar. However, Hart was finally beaten on 61 minutes thanks to a stylish first-time finish from Jimenez. Costa slipped Doherty into the right channel and Jimenez met the wing-back's cross with a deft shot across the goalkeeper which went in off the post, giving the home side a deserved lead. Wolves named the same side that claimed a dramatic late victory at West Ham before the international break. 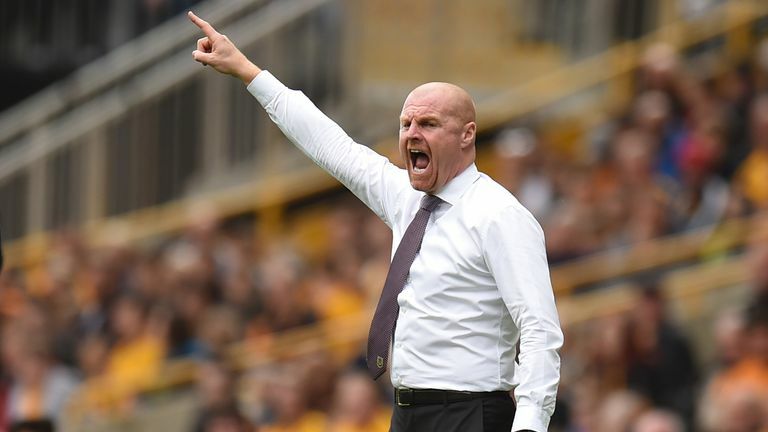 Sean Dyche freshened up Burnley's attack by handing Ashley Barnes and Sam Vokes their first starts of the season, while Johann Berg Gudmundsson returned from injury. Burnley might have snatched an unlikely equaliser minutes later when substitute Matej Vydra volleyed Johann Berg Gudmundsson's free-kick across goal and Jack Cork was unable to react to tap the ball into an empty yet from a yard. 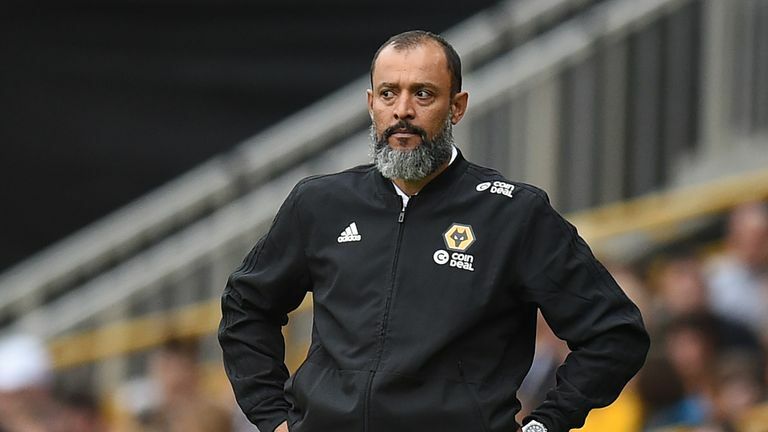 Substitute Leo Bonatini wasted two late chances and Nuno may have been frustrated by his side's inability to kill off a match they dominated, but they are now seven points ahead of a toothless Burnley side who have already played 11 games this campaign and look set for a season of struggle after their early European exit. Wolves have won all three of their Premier League meetings with Burnley, against no other side have they recorded a 100 per cent win ratio. This is Burnley's worst start to a season in the top flight (one point from five games) since 1927-28. Wolves recorded more shots than they have against any other side in a single match in Premier League history (30 shots). Since winning five successive Premier League games between March-April 2018, Burnley have picked up just three points from a possible 30 (D3 L7). Sky Sports commentator Andy Hinchcliffe: "He has been absolutely outstanding. He was involved in the winning goal and is perfectly built to play the wing-back role. He is athletic and has real quality. He plays with his head up and plays passes at just the right time. He has been superb." If Joe Hart is hoping to force his way back into Southgate’s plans, his summer move to Burnley has certainly given him more chances to catch the eye. He has faced more shots and made more saves than any other goalkeeper in the Premier League this season including five this afternoon. His first-half performance was particularly impressive and he was helpless to keep out the only goal of the game. James Tarkowski made two important goal-line clearances in the first half and his recovery defending was impressive in an increasingly shaky Burnley backline. At the other end, Conor Coady has been talked about as an England contender but had little to do as Wolves restricted their opponents to just two shots on target. Nuno Espirito Santo: "We did a good game, we were organised, Burnley didn't have any chances, we had a lot. It was a lot, we should improve on that, but it's hard to build the way we build and stay organised in the shape. "It could have been a different result but how we played is more important at this stage of the season. "The scoreline could have been more. The way we create those chances requires the last touch, but things will come if we stay organise and are more clinical." Sean Dyche: "No complaints, Wolves played well. They are a good side and we knew we would have to defend resolutely, which to be fair I thought we did - our 'keeper played well. "We were a bit more like ourselves defensively. It was a poor goal but other than that we got blocks in, were resolute and stayed in the game where we could have got something. "But attacking wise it was nowhere near enough, not enough quality, guile and energy really. That's got to change." Wolves travel to Old Trafford to face Manchester United in the Premier League next Saturday afternoon, while Burnley host Bournemouth at Turf Moor at the same time.